Surfing is a complex and hard sport. It is not any easy for beginners so that it is recommended to take some surf lessons with surf instructors, at least for your first experiences in the water. There are many surf schools all around the Portuguese coast with professional surf instructors, who will help you with your first paddling, jumping and catching the first waves. Good surf instructor shows his customers individualy step by step how to surf. Good surf school save lot of time. How to choose a good surf school? Try to consider a few aspects when choosing a surf school for you. Good surf school should have qualified and experienced instructors. Ideal is when surf instructors have certificates from surfing federation and already have worked for a longer period in the field. Every professional surf instructor emphasizes on safety rules, which is the one of the most important things when starting to surf. Firstly, you should consider the number of people taking the lesson with the surf instructor. If you do not take individual surf lesson, ask the surf school how many people attend the surf lesson. It is much more profitable for surf schools to let one surf instructor with 10 or more clients, but be sure it is not any advantageous for you. You will learn less and it will be more dangerous, too. Good surf school doesn’t allow more than 8 surf students for one surf instructor. Before you even paddle out for the first time, you need to be familiar with the safety rules. Every surf lesson should include a theoretical part where you learn how to behave in the water to reduce the risks for minimum. Do not think it is a waste of time to listen the instructor on the beach. Good advice can save you from injury and help you to improve your surfing technique, too. At the beginning of your surf experience the surf board is going to be flying and spinning around, which could be dangerous for you and also for the other surfers in the water. That’s why the surf schools work with soft boards which are essential to the first surf lessons. Although you follow all the security rules, some accidents can happen. For that make sure that your surf school provides insurance during the surf lesson. When seeing prices and comparing surf schools, do not forget to consider the duration of the surf lessons. Also, take account of the time that your surf instructor will actually have just for you and your learning of surfing. 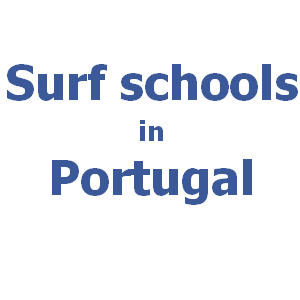 For example of good school look at surf school Peniche in Portugal. To facilitate your choice, it is better to find the information about places to surf, prices or special offers of the surf schools. Read also references by the other surfers. Please, let us know how satisfied you were with your surf school, which would help to other future surfers.